I’m very pleased that the College Park Patch’s interview with Governor O’Malley started off by asking my question “Do you support offshore wind, and if so what will you do to make it a reality over these next four years”. Not only did Governor O’Malley answer the question in support of offshore wind and list steps he has taken, but he proceeded to discuss clean energy and energy efficiency policy for a full six minutes! This is pretty good for an election where the the environment and clean energy policy has scarcely come up in debates or the media. 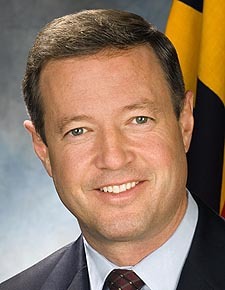 For more background on why O’Malley should be re-elected Governor, see my op-ed in the Diamondback from a few weeks ago. On an even more positive note, the question after mine was about the Purple Line Light Rail. Delaware officials already have authorized utilities to enter into long-term contracts for 230 megawatts of electricity from a planned wind farm off the coast of Rehoboth and Maryland has offered to buy 55 megawatts from the proposed 450 million watt project. But the governors contend that a commitment to purchase one gigawatt of wind energy could be the catalyst for creation of a manufacturing base and supply chain that could bring up to 20,000 jobs to the region. “If all we have is a wind farm off the coast of Rehoboth with parts that are made overseas, I think it will be a missed opportunity,” Markell told The Associated Press. I like the loan guarantees and tax credits, and I wrote a column this past January about the need to streamline the permitting process for wind. But what about activists in other states along the coast getting their states to make commitments to purchase wind power from an offshore farm? What about the impact of a national Renewable Electricity Standard (RES) to increase demand for wind energy, and help make this offshore project more viable? Right now, there’s a debate amongst Democrats in the US Senate on whether a renewable energy standard should be in the energy bill, now that climate legislation is out. The debate can’t be able the abstract concept of an RES, it has to be able potential clean energy projects such as this one that need a shot in the arm from Congress. Projects that are in the states of swing Senators are even better. There’s a lot more we should be doing, and the Federal Government has already failed to place a price on carbon to make projects such as offshore wind more viable, but it’s good to see effort on the part of MD and DE to try and create demand for these wind products. 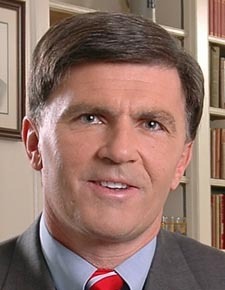 Former Maryland Governor Bob Ehrlich just told media today he was going to run against Governor O’Malley. This certainly makes a lot more at stake in the fall elections for the Democrats and the Republicans. I wonder how it will impact the turnout for the other expected tight race in the 1st Congressional District between Frank Kratovil and Andy Harris? Stay tuned! Maryland politics just got a lot more interesting. I’ve always had a mixed opinion of O’Malley, strong on clean energy and global warming, but weak on development and land use policies(which inevitably impact the global warming bit). Says the right things, and follows through on half of them. I’ll give my thoughts on whether or not environmental groups should endorse him later in the year. LCV has just endorsed him earlier than they have for any gubernatorial candidate. Here is their press release. You can also read pieces from The Baltimore Sun, and the Washington Post. Below are the accomplishments by O’Malley that MDLCV lays out in its press release. have cemented our role as a national leader in this area. how government can work better to meet specific challenges. creating new clean energy job opportunities. green house gas pollution and encourage smarter growth in Maryland. who have responsibility for the environment. As much as I enjoy blasting O’Malley for building the ICC and trying to build uneconomical nuclear power, he’s indicated a few positive steps that will be taken on clean energy policy in the coming legislative session, which add up to progress. 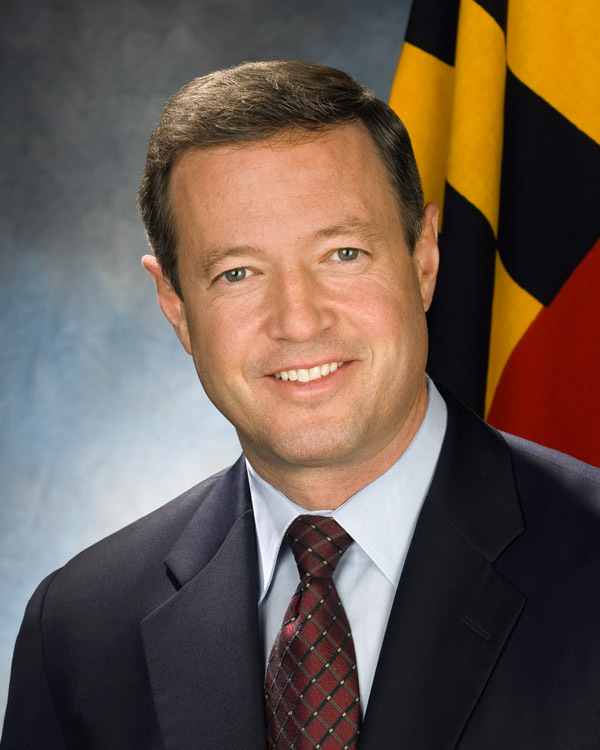 Kudos to O’Malley for making these significant tweaks and adjustments in the tough economy. Give tax credits on the state vehicle excise tax for residents to buy plug-in electric vehicles that are expected to start rolling onto dealership lots later this year. The state would propose a three-year tax credit capped at $2,000 per vehicle for each citizen or 10 employees per business entities. State officials estimate the costs to be $279,000 in fiscal 2011, and for revenue from the regional cap-and-trade market to offset those losses to the Transportation Trust Fund. Speed up the state’s requirements for how much solar should be included in a utility’s power portfolio between 2011 and 2017. State leaders said the new requirements, which they said are more in line with active states like New Jersey and Delaware, hope this results in more residents and businesses opting for solar power over electricity generated from coal-fired plants. Extend a state income tax credit that was otherwise to expire by the end of this year. The $25 million in tax credits, capped at $2.5 million per person, are reserved for residents who, in part, use electricity generated by an alternative qualified source costing 0.85 cents per kilowatt-hour. Pushing Offshore Wind: “To attract a developer for an offshore wind farm, the governor wants to update the state’s coastal zoning rules. Such changes would ease the way for underground transmission lines to connect ocean-based wind production to the state’s grid. Also, modifications are needed to run a line under an eroding beach. rarely follow a 9-to-5 schedule. and Metzerott Road, would be canceled entirely. Metro will hold two public hearings on these cuts. Transit First! Belcrest Road, Hyattsville, near Prince George’s Plaza Metro. 10914 Georgia Ave., near Wheaton Metro. Transportation John Porcari at secretary@mdot.state.md.us .